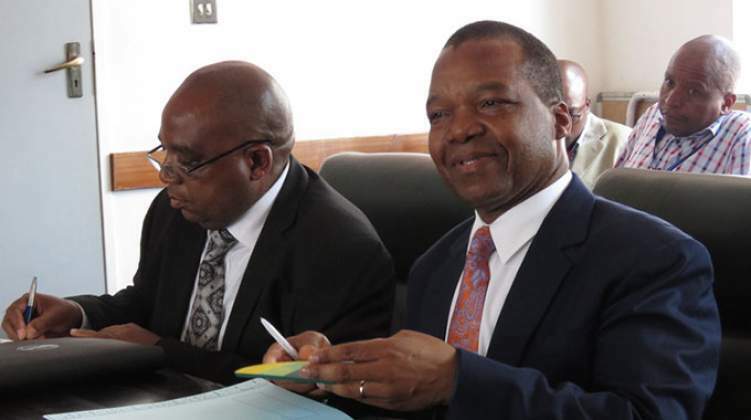 The huge demand for fuel, which has caused supply challenges and spawned fuel queues across the country, is testimony that economic activity has expanded significantly over the past year or so, Reserve Bank of Zimbabwe (RBZ) governor Dr John Mangudya said last week. Dr Mangudya, however, allayed fears of continued widespread fuel shortages in the country saying the situation should start improving before end of this month on the back of interventions the bank and Government had put in place. The Reserve Bank, Dr Mangudya said, had released funding for fuel imports through letters of credit over the last two months, which are enough to import required amounts of fuel into Zimbabwe. He said the fuel shortages reflected time lags between bank processes and actual deliveries. This is because the process of establishing a letter of credit (LC) with a local bank, getting confirmation from the international bank (Afreximbank, which guarantees LCs) through to getting confirmation from the foreign bank, which advises the fuel supplier up until the supplier gives notification for release of fuel, takes two weeks on average. The fuel is usually already in the country at NOIC's Msasa storage facilities, but needs to be paid for first prior to release. All fuel imports into Zimbabwe are now paid for through LCs, which are financial instruments used to securitise and finance imports, due to challenges around hard currency. LCs need to be guaranteed by an international bank to be acceptable as value for money and in Zimbabwe's case this is done by Afreximbank. The central bank chief made the comments when he appeared before the Parliamentary Portfolio Committee on Energy and Power on Thursday last week, which is chaired by Uzumba Member of Parliament Simbaneuta Mudarikwa. Responding to an enquiry by Magwegwe MP, Anele Ndebele, on whether Zimbabwe was now in a lurch regarding the fuel situation, Dr Mangudya dismissed the notion that the country was between "a rock and a hard surface". Dr Mangudya said shortages of fuel being witnessed in the country - driven by increased demand due to the growing economy - were only transitory and not due to shortage of foreign currency needed to import the precious commodity. "The demand for fuel in Zimbabwe has increased because the economy has been expanding. "So, an expanding economy requires more fuel. "Let us look at the other side of the story, the other side of the story is that the economy has been expanding and that is why the demand (for fuel) has been going up," he said. Finance Minister Mthuli Ncube said in his Transitional Stabilisation Programme (TSP) policy blue print (2019-2020) that Zimbabwe could soon be joining the six fastest growing economies in the world (from 2020), which are all in Africa. Last year, the Treasury chief said Zimbabwe was much bigger than "we think" and re-based (establish a new base level) the country's gross domestic product (GDP) from US$18 billion to US$25,8 billion. "We used to spend about US$60 million or so per month to US$80 million per month, but now we are on US$90 million to US$100 million per month. So, where is all this fuel going to? The fuel is going into the economy, and this economy is expanding," Dr Mangudya said. Dr Mangudya said most of the firms that were closed prior to 2016 had reopened, activity in town was high and "you can even see it by these traffic jams, which were never there at some point in Zimbabwe". This justifies the high demand for fuel in Zimbabwe. "So the evidence on the ground suggests to us that the demand is genuine and it's fair to say that the economy has expanded and all we are saying is that let us not lose hope because of what we are seeing on the ground," he said. Dr Mangudya said the shortage of fuel was a transitory issue the apex bank and other arms of Government were working on to resolve, adding he expects "the fuel situation to improve starting this month". "We are going to make sure that we improve the lag between payment and supply; we are promising that we will do all we can so that we go into a better season. We need to clear the fuel queues in our country." The RBZ governor said while the bank had spent a cumulative US$170 million to import fuel amounting to 285 million litres in January and February, only 208 million had been released into the market while some of the balance was starting to be released now. Consumption of fuel in Zimbabwe has, however, decline due to prize elasticity, from about between 160 million litres and 165 million per month in December last year to between 120 million litres and 120 million litres per month after the recent price hike. Zimbabwe's economy is estimated to have grown by 4 percent last year while finance and economic development Minister Mthuli Ncube projected in his 2019 national budget that the economy will grow by 3,1 percent this year. Zimbabwe registered faster economic growth in 2018 compared to the average growth for the rest of Sub-Saharan Africa, despite battling a myriad of challenges besetting the economy, chief among them critical shortage of foreign currency. While the domestic economy is expected to have grown by 4 percent last year the average annual economic growth for the rest of the sub-region, generally considered to have relatively more stable economic jurisdictions, came in at an average 3,2 percent.